Introduction: BThy word is a lamp unto my feet and a light unto my path.C Psalm 119:105 This is YOUR notebook, but it?s not just any notebook. In it you will discover ways that you can study God?s Word. Some of these ideas are things you have heard of before, and some of them are a little outside the box. It is very important to read the Bible, but we can?t stop there or we will miss out on some of God?s greatest blessings for us. It is our goal that the activities in this book will give you the tools needed for a lifetime of Bible study. Eternal life is knowing God. The Bible helps us to not only know more about who He is, but to learn to have Him as our Lord, Savior and best friend. Every part of the Bible points to Jesus and it is our privilege to learn more about Him through its pages. Reviewing What We Read: Have you ever read something that went in one ear and right out the other? I know I have. This section is filled with activities that help you stop and think about what you are reading. You may even be surprised how many of the stories you remember several months from now after doing these activities! M AKE A Q UIZ Do you ever have to take a quiz in school? How do you usually feel about them? Are they too hard? Too easy? Do they ask all the wrong questions? Well, now you can change all that. It?s your turn to write a quiz. 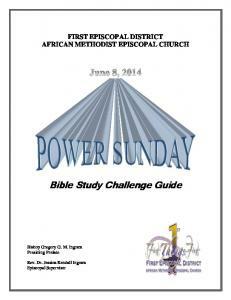 You?ll want to pull out your Bible and turn to the chapter(s) you just read to find some good ideas for questions. Try and make the questions hard enough to stump your friends and family. You can add your quiz to your notebook. You can even put the scores people got when they took your quiz. M AKE A STORY B OARD They say a picture says 1,000 words. What about eight pictures? For this activity you will need a pencil and colored pencils, markers or crayons. Look through the chapter(s) you read, and write down the 8 most important parts of the story in order. Draw each of the eight scenes in one of the storyboard boxes on one of the story board pages at the end of this section. Remember to include a short description of the pictures you draw under each box. W RITE A S UMMARY So what really happened? Use the space below to write a summary of the events from your reading this week. Make sure your summary is at least five sentences, but no more than twelve. (Hint: If? you?ve already filled up the box on this page, pull out a sheet of paper to do this activity again.) So here?s how it happened . . .
M OLD A WAY Pick a few scenes from the chapter(s) you just read and mold them out of clay. If you have some play dough or clay around, you can use that. If you don?t, you can use the recipe below to make your own modeling clay. When you are done with your masterpiece(s), see if your family or friends can guess what your scenes are. M AKE A C ARTOON F LIP B OOK It seems like we often hear people talking about making the Bible come alive. Today, you will get to try your hand at making God?s word come alive in a new way. Here?s how: Directions: 1. Using your Bible?s headings, or choosing from what makes sense when you read, break the chapter(s) you read into sections and write the section names on a separate piece of paper. 2. Choose one of the sections you just made. 3. Think about what story is being told in that section. 4. Start drawing pictures to illustrate the story, each on its own note card. 5. Make each drawing only slightly different. 6. When you flip through the note cards, it will look like everything is moving. M AKE A S TORY B OOK Sometimes we read the Bible and we feel like we?ve heard the stories many times. Did you know that some people have never heard these stories of Jesus? love before? Make a storybook for someone who has never heard the chapter(s) you just read before. Write your story for kids ages 5-8 so that they can know about the Jesus? love for all people. Here?s how: 1. Write the whole story from your reading in your own words. 2. Break up the story you wrote into sections. Your goal is to have about 10 sections. 3. Each section will be a page in your book. Write one section on the top or bottom of a plain white piece of paper, leaving plenty of room to add a full page illustration. (You can also type the words out and cut them out to glue to your pages, or you could type them directly onto the pages you want to use.) 4. Illustrate your pages. 5. Punch holes in the pages and tie string through the holes or put your pages in a three ring binder. 6. Share your book with all your friends and family. Once you have all your materials together, work on making your scene. Be sure to bring your creation with you to Sabbath School so that you can share it with everyone! Studying the Passages: Reading the Bible and remembering what is says is one thing. It?s another to truly study the stories to try to learn more about what God is telling us. If we study carefully and prayerfully, we can read the same part of the Bible again and again and learn something new each time. Look up at least five passages from the margin. Don?t forget to write down all of your fun discoveries on a separate piece of paper.! Margins all those texts listed d ce ti no er ev u yo ve Ha le of the pages in dd mi or de si e th on either s make up what is your Bible? Those text rginal reference or ma s e’ bl Bi ur yo ed ll ca in helps you to see rg ma e Th . es nc re fe re cross ects to other Bible how a Bible verse conn margin also explains e th s me ti me So . es rs ve words better. W RITE A P ARAPHRASE Do you know the difference between a Bible paraphrase and a translation? The goal of a translation is to look at the original language that a document was written in and then to write it as accurately as possible in another language. A paraphrase puts the text in the authors own words, often in an attempt to make the meaning more clear. So a paraphrase may be easier to understand, but also less accurate. Today you get a chance to write your own paraphrase of a chapter of the Bible. Choose one of the chapters you have been reading and write the whole thing in your own words. What will you call your paraphrase? U NDERLINE K EY P OINTS Have you ever been reading the Bible, when all of a sudden something catches your eye? It?s like God?s talking to you directly right then and there. Or maybe you can tell right away that what you are reading is most certainly important. Sometimes when people are reading and that happens, they will use a highlighter to highlight that passage, or they will underline it with a pencil. This way if you ever need to find that passage again or want to go back and study it more closely later, it?s easier to find. Read through the chapter(s) you are studying again and find one key verse or several phrases to underline or highlight; then dig deeper by answering the questions below on a separate piece of paper.. 1. Why did you highlight that particular passage? 2.How does that verse apply to you and your life? 3. Is this a verse you may want to memorize? Why or why not? P ONDER AND Q UESTION Why did the Holy Spirit come down like fire? Why did Joseph?s father favor him? What did the pillar of fire look like? These may be just a few of the questions that you have when you read the Bible. Pick a small section from the chapter(s) you are reading and write as many questions as you can about the passage. Try for at least 10 questions. M AKING C ONNECTIONS The Bible isn?t just about some things that happened to some people a long, long time ago. It has real-life meaning and practical application for us today! But if we don?t stop to make the connections between what we read and our own lives, we can miss out on the true blessings of God?s word. To help in seeing the connections, answer the following questions about the chapter(s) you read: 1. Who was involved? 2. What happened to them? 3. Why was this written in the Bible? 4. How can I learn from it? You can use the provided worksheets on the following pages, or just answer the questions on a blank sheet of paper. 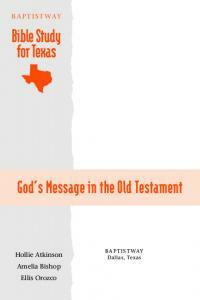 Applying the Message: The Bible is like God?s letter to us. He created us, so it is almost like an owner?s manual and He wants to use His letter to change our lives and bless us. When we read and study the Bible it?s important that we prayerfully ask questions like BWhat does this have to do with me?C and BWhat can I learn about God from reading this?C This section gives you some tools to help make the Bible real in your life. W RITE A L ETTER Sometimes I wonder what it would be like to be someone from the Bible. I think of people like Peter, Timothy, Joseph, Esther and many more. Find or make some stationary and pretend you are a person from the passages you read this week. Write a letter to a friend or family member. Tell the recipient what is happening. What have you seen? What have you heard? What do you think of it all? Don?t leave out any details. P RAY T HROUGH THE P ASSAGE Sometimes when we read the Bible, we come across passages that seem totally relevant to us. Maybe a Bible character is going through circumstances similar to ours, or maybe there is a Psalm that seems to say just what we are feeling. If you come across a Bible passage like that, you can pray it as your own prayer. As you read over the verses again, repeat them to God and add things that apply to you specifically. D IG D EEPER It?s so easy to quickly read though the Bible without ever realizing that God is actually talking to us. Here are three questions to help you dig a little bit deeper to find the true gems of God?s word. One of the great things about these questions is that you can use them no matter where you are reading in the Bible. Answer all three questions on a separate sheet of paper. 1. What can I learn about God? 2. What can I learn about me? 3. What should I do about it? W RITE IN A P RAYER J OURNAL So you?ve just read the Bible. Don?t get up yet! Pull out a journal or diary and start writing. Write a letter to God. Talk about the things you just read. Tell Him what you think. Ask Him about confusing parts. There is no limit to what you can talk to God about! C HARACTER D IARIES Take yourself back to the time and place of the Biblical world. If you were Noah, what thoughts would be going through your head as you float along in the ark? If you were Moses, what do you think you would have felt like after disobeying God about the water and the rock? How would you feel if you received one of the letters that Paul wrote to the early church? Pretend that you are a character from the chapter(s) you?ve been reading. Write a diary entry with all of the things that have been going on in your mind. The next few pages are filled with activities and ideas to help you hide God?s Word in your heart. N OTE C ARDS E VERYWHERE For this activity, you will need at least five 3x5 cards or pieces of paper. Write your memory verse on each card that you have. When you are done writing, use tape to hang your verse cards up in places you will see them a lot. Every time you see your verse, review it. You may even want to change out your cards half-way through the week, replacing some of the words with blank spots. that will give your physical, mental and spiritual health a jump start. Pull out a jump rope and get hopping. Every time you jump, say the next word in your memory verse. Once you?ve got the hang of it, time yourself to see how fast you can get through the whole verse without messing up. W ORD S CRAMBLE Gather some paper and cut it into strips about 1-2 inches wide and about four inches long. Write one word from your memory verse on each piece of paper until you?ve written out the whole verse. Mix up all of the pieces of paper you used and work to see how fast you can put them all in order. Try racing against some of your friends. Can you do it in under a minute? of one? A no smoking sign is an example. It is simply a cigarette with a big red circle and a slash through the middle. Another example of a pictogram is ancient Egyptian writing hieroglyphics. Let?s take some time today to turn our memory verse into a pictogram. On another piece of paper, draw one big picture, or you can draw a picture for each part of the verse. P OSTER It?s time to get your creative juices flowing. Have fun turning your memory verse into pictures as you make a poster. Try to make the poster so good that other people can guess what your memory verse is as well just by looking at your creation. You can combine this activity with the pictogram activity above. M EMORY W ALK All you need for this activity is two legs, your memory verse written on a card and a little bit of time. Take your memory verse with you on a walk. Each time you take a step, say the next word in the verse. For example: Step 1: But Step 2: God Step 3: Raised Step 4: Him When you get back from your walk, you just might have the whole verse memorized. To add even more fun, take a pedometer with you and count how many steps it takes you to learn the whole verse. M AKE A P UZZLE Do you like putting puzzles together? What about making them? 1. At the end of this section., there are two puzzle templates. Choose the one you want to use and cut out around the edge. (Don?t cut the pieces out yet.) 2. Write your memory verse on the blank side of the page. If you?d like you can leave room to draw a picture as well. 3. Cut the pieces out of the puzzle. 4. If you put this puzzle together every day, you?ll probably learn your memory verse by the end of the week! 5. Make sure to have others try to put together your puzzle creation too. B EAN W ORDS This memory activity will take you on a journey to your kitchen! Scrounge around for beans, rice, dried pasta, anything to add to your memory creation (you can even use hard candies). Next, grab a piece of paper, a Bible and some glue. Use the items you found in the kitchen to spell out your memory verse on the paper. Glue all the pieces down. Place your creation in a prominent spot so you can see it well. Each day, as you review your verse, pick off one or two of the food words to leave a blank space on your creation. By the end of the week, you should be able to say the verse with all the words gone. Have fun! Report "My Bible Study Notebook"